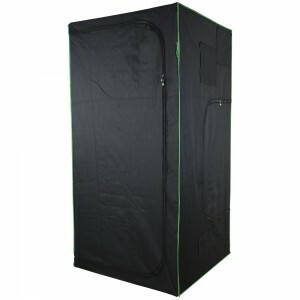 LightHouse MAX 1m is the premium tent for the grower who wants no compromises. The LightHouse MAX 1 has 22mm poles and has extraction through the roof or the side with 2 x 250mm (10") ducting glands. It is an ideal for a single lamp set up (either a 400w HID or high wattage CFL) and an extraction fan around 350m3.